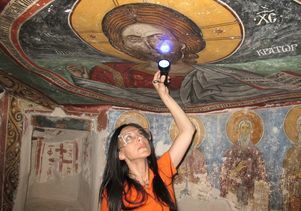 UCLA professor Ioanna Kakoulli documents the condition of Byzantine and Post-Byzantine wall paintings in the caves of the St. Neophytos Monastery near Paphos, Cyprus. A $5 million grant from the Stavros Niarchos Foundation will enable UCLA to create the UCLA Stavros Niarchos Foundation Center for the Study of Hellenic Culture. The center, which will be housed in the UCLA College, will build on the university’s strengths in Hellenic studies and support research across disciplines ranging from archaeology and classics to languages and digital humanities. 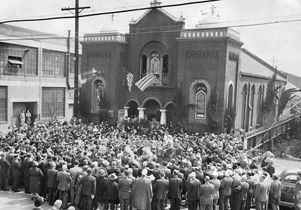 In addition to its teaching and research mission, the center is envisioned as a vibrant cultural hub for the sizable Los Angeles Greek community, which has been formed by generations of families and new immigrants. About 150,000 Americans of Greek ancestry live in California — more than in any other state except New York — with about half of them in Southern California, according to a 2006 U.S. Census Bureau survey. The center will engage with organizations, churches and academic institutions throughout Southern California to present community programs and generate interest in Greece’s historical and ongoing contributions to modern culture. With the support of the center, scholars will pursue new research, develop state-of-the-art digital resources and forge international collaborations for students and faculty. 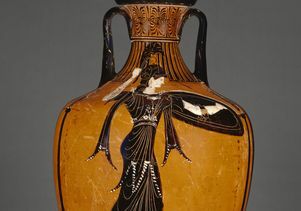 “Thanks to the Stavros Niarchos Foundation, we are now in a position to contribute even more to the field of Hellenic studies and to connect with cultural institutions and universities near and far to highlight the rich legacy of Hellenic culture in our world today,” said David Schaberg, UCLA’s dean of humanities. UCLA will raise an additional $3 million in external funding in support of the center. The fundraising effort will include engaging with members of the Greek-American community in Los Angeles and throughout the West Coast who wish to play an active role in the center’s growth and success. The grant will include funding for visiting faculty and graduate students from the U.S., Greece and elsewhere. In addition, the humanities division will bolster the core capacity of the center by funding a lecturer hired to teach modern Greek language and literature. And those studying at the center will be able to take advantage of UCLA Libraries’ extensive collections related to ancient, Byzantine, early modern and modern Hellenism. 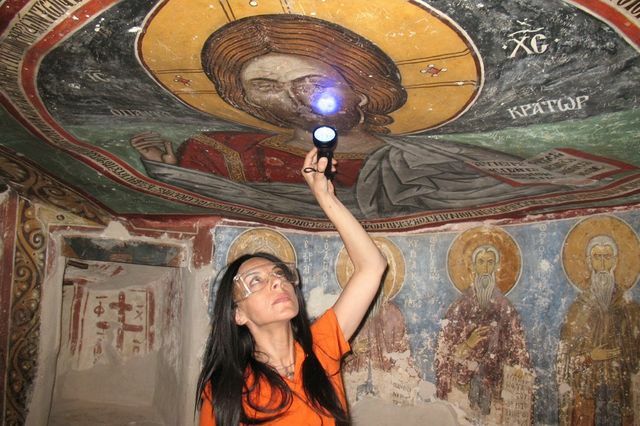 Several recent projects illustrate UCLA faculty’s deep investment in Greece, including excavations in Pieria, Greece, for the Ancient Methone Archaeological Project and the creation of an acoustic museum of Greek Byzantine churches. In addition, UCLA recently signed an agreement with Athens’ prestigious Benaki Museum to create innovative programming at the Patrick Leigh Fermor House in Kardamyli, Greece, a new cultural center housed in the late writer’s residence. The grant is part of the $4.2 billion UCLA Centennial Campaign, which is scheduled to conclude in December 2019 during UCLA’s 100th anniversary year. The Stavros Niarchos Foundation is one of the world’s leading private, international philanthropic organizations, making grants in the areas of arts and culture, education, health and sports, and social welfare. The SNF funds organizations and projects worldwide that aim to achieve a broad, lasting and positive impact. Since 1996, SNF has committed more than $2.4 billion in grants to nonprofit organizations in 113 nations around the world. Every year, the SNF organizes the Stavros Niarchos Foundation Annual International Conference on Philanthropy and the Summer Nostos Festival, which take place at the SNF Cultural Center in Athens. Both events are free and open to the public. Attic panathenaic amphora with lid. 340–339 B.C., attributed to the Marsyas Painter.